Rumor came true as Airtel has selected ZTE Corporation to supply and deploy its 4G network in Kolkata we already informed about the development back in March 22 and now its official. The forthcoming launch of 4G services, will allow Bharti Airtel subscribers to experience, high speed wireless internet access that can support bandwidth intensive applications, support video streaming and high-definition video conferencing. 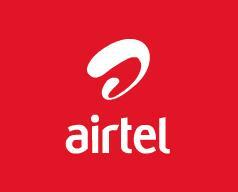 Airtel will launch 4G services using TD-LTE technology. ZTE will offer full range of LTE base stations, including widely distributed macro stations. It has won 30 contracts for LTE commercial application and has deployed test networks in cooperation with more than 100 operators across the globe. Reasons: Why Airtel 4G Should be Affordable? Day-by-day Airtel 2G plans r becoming 2 costly !! Now they r thinking of 4G..LOL !! Airtels 3g plans were affordable to the millionaires…. AND NOW 4G PLANS WILL BE AFFORDABLE TO ONLY THE BILLIONAIRES….. !! !